Another healthy evening's meal: crackers for dinner, feat. 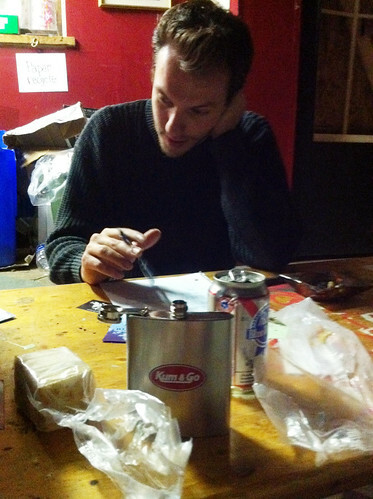 Patrick deliberating lyrics. Later: a terrible pizza slice from downstairs from the Railway. 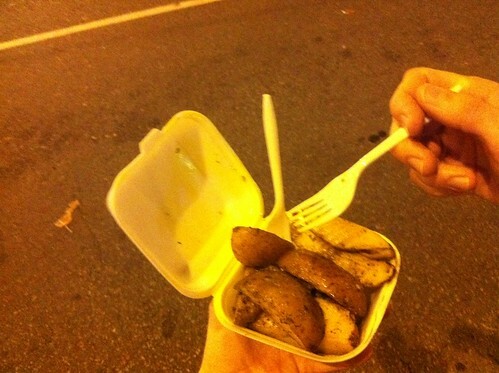 Later still: delicious potatoes from near Hastings & Main.